Beauty is created in two ways: the foods that you eat, and what you put on your skin. 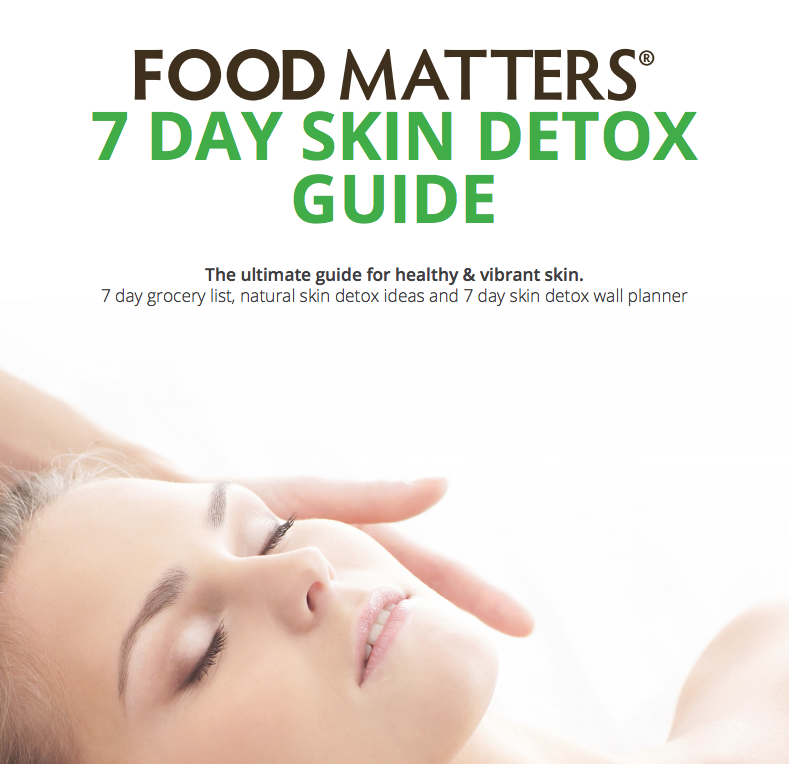 You're invited to join the Food Matters 7 Day Skin Detox. It’s not only important to know what ingredients you are putting on your skin, you also need to know what ingredients you are eating and feed your body with foods that promote beauty and vitality. If you want a healthy glow download your 7 Day Skin Detox Guide which includes all the 7 skin nourishing activities, a grocery list and a wall planner to help you prepare! Right click and ‘save as’ then print it out and stick the wall planner to the back of your bathroom door!